Not too long ago, think outside the box was the metaphor of choice to explain the benefits of innovative thinking in organizations. Everybody heard it, and everybody used it, almost to a fault, to describe the liberating effect of challenging predictable linear thinking by questioning the boundaries of problems. The origins of the expression are unclear. A quick internet search shows that it may be linked to the nine dots puzzle (Fig. 1), a lateral thinking exercise from the 1970s that challenges the player to connect nine dots with four straight lines without lifting the pen from the paper. Because any straight line can only connect a maximum of three dots, regardless of whether it is horizontal, vertical or diagonal, there is always one dot left unconnected after the fourth line is drawn, no matter where the player starts or which order is followed in tracing the lines (Fig. 2). The solution to the puzzle is to extend three of the four lines outside of the boundaries of the nine-dot area (Fig. 3). This possibility is neither allowed nor denied explicitly when the problem is presented to the player; it is just omitted from the problem definition. To succeed in solving the puzzle, the player is expected to question the problem definition as it is presented, assuming it is ambiguous and open to interpretation. The main challenge presented to the player engaged in solving the nine dots puzzle is realizing that not knowing if something is allowed does not imply it is not. In a very simple way, the nine dots puzzle illustrates one of the key principles of design: ambiguity is a positive drive that we should use to our favor. Even if we may not be sure that our idea is possible, we should not assume it is impossible; even if we may not have the certainty that our prototyping plan will work, we should not infer that it won’t; even if something is not explicitly included in our project brief, we should not conclude it is out of the question to consider it. Ambiguity colors all the phases of the design process, from problem framing, to ideation; from prototyping, to evaluation. 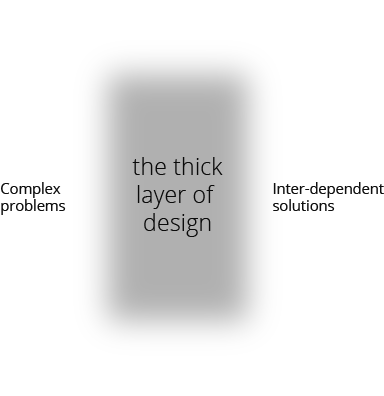 Complex problems are separated from their solutions by the thick layer of design, made of processes, time, barriers, opportunities, interactions, collaborations, constraints, and everything else that may be necessary to arrive at the optimal outcomes for a given problem (Fig. 4). Ambiguity is in that layer too, together with risk, trust, ethics, uncertainty, etc. Fig. 4. 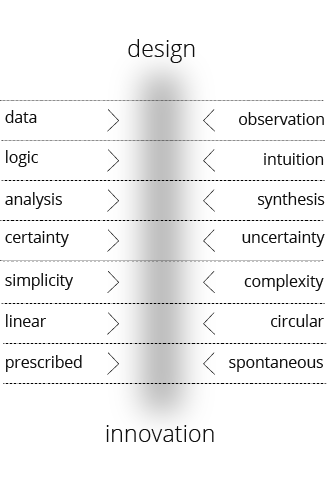 Design as a thick layer of processes, values and actions in time. Much of the current public sector innovation discourse still revolves around tools and toolkits as enablers of the design process. The tool and toolkit model places value in the outcomes over the larger process of how to get to the best possible outcomes. The notion of the tool is a remnant of the industrial age, when processes were standardized for efficiency and to ensure predictable outcomes. A tool excels in carrying out a particular function consistently, which is ideal when variables are known and relatively predictable. In recent years, governments around the world have adopted design and innovation practices to gain the upper hand over challenges of increasing complexity, scale, and duration. Tool-based methods are still widely used by many innovation labs, advanced research units, and individual practitioners to transform governments at many levels. However, because most tools focus on execution rather than critical understanding, they may fall short in dealing with dynamic problems that constantly readjust to changing environments and conditions. Additionally, tools do not always support a critical thinking approach to problem-solving, a must-have skill in 21st-century public sector innovation. Dynamic public sector challenges expand and contract with their own constraints. Problems and constraints are fully integrated and hard to consider as separate realities. Learning to deal with the thick layer of design that separates problems and solutions implies that the types of problems that we find in government are hard to simplify without losing value. Dynamic constraints change rapidly with new knowledge, updated information, shifting organizational contexts, shrinking timelines, or unforeseen circumstances. In public sector innovation, problems and constraints inform and reshape each other. This is why think outside the box has lost its value as a metaphor for innovative thinking. Another way to redefine public sector innovation is around problem-making: we have to create problems to solve problems. As the general path to progress accelerates, enabled by technology and new social habits, government agencies, departments, and teams face challenges that are too complex to be fully solved. Under these new circumstances, problem-making challenges assumptions and takes advantage of gaps and grey areas that may develop into new solutions, as in the nine dots puzzle. Reconciling methods and approaches that may seem incompatible, antagonistic even, is a way to explore new innovation landscapes that build the trust relationship between citizens and government by redesigning the practice of delivering public value (figure 5). At The Lab at Office of Personnel Management (The Lab at OPM), we take advantage of positive ambiguity in our approaches to public sector innovation. We combine high-level thought leadership with actionable delivery plans based on the specific needs of the agencies, departments, teams, and individual civil servants with whom we work. We believe that positive ambiguity fosters critical thinking in how we practice, teach, and learn human-centered design, the discipline at the core of our approach to public sector innovation. We invite thought leaders, designers and innovation specialists from outside of government to share their experiences and expertise. Our commitment is to a plural understanding of human-centered design and public sector innovation. We bring new ideas and emerging paradigms to support and expand the ways in which we build capacity in government. We engage public sector innovation at the global level to broaden our perspective and be sensitive to future trends. Government innovation is happening around the world through a global community of practice committed to public sector transformation. Being part of the global discourse helps us bring the latest advances in the field to our government workforce. We create new integrations within the government innovation community. We work hard to understand the diversity of the innovation community in the U.S. government. 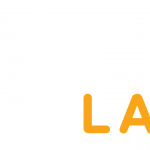 For some labs, innovation is about technology, for others it is about people or workforce dynamics. We are stewards for a multi-faceted version of innovation that ensures that new opportunities for dialogue are created and available across government. We facilitate cross-sector integration. It used to be about public-private partnerships but the innovation territory is broader today. Cross-sector means all sectors may bring value to government and contribute to advance government’s own innovation practices. We build cross-sector bridges to define a new map of change and untapped opportunities. We establish a new value in design education and redefine design learning as an integral part of public service. Our commitment to capacity building in the U.S. government goes beyond the idea of training into a broad understanding of learning as a threshold to innovative practices. We want to reach the federal workforce to expand their abilities and incentives to innovate at different levels. We value experimentation and diversity of approaches resulting in advanced ways of teaching and learning. We are in a permanent learning mode and re-steer our practice with the lessons from every project we have done. Closely evaluating what we do and how we do it so that we may better understand how to improve our practices is at the core of every project of which we are a part. There are always better ways of doing the same thing, and even if we shy away from strict operating procedures, we combine structure and flexibility to better deliver value to our partners. We define evaluation broadly and collaboratively. Critically defining what evaluation means in the context of public sector innovation is key to our practice and future operations. We test new approaches to evaluation and look for the right partners to help us achieve what we alone may not. Evaluating innovation is a global challenge, and we want to be part of the solution.